Its time to celebrate with the one you love. 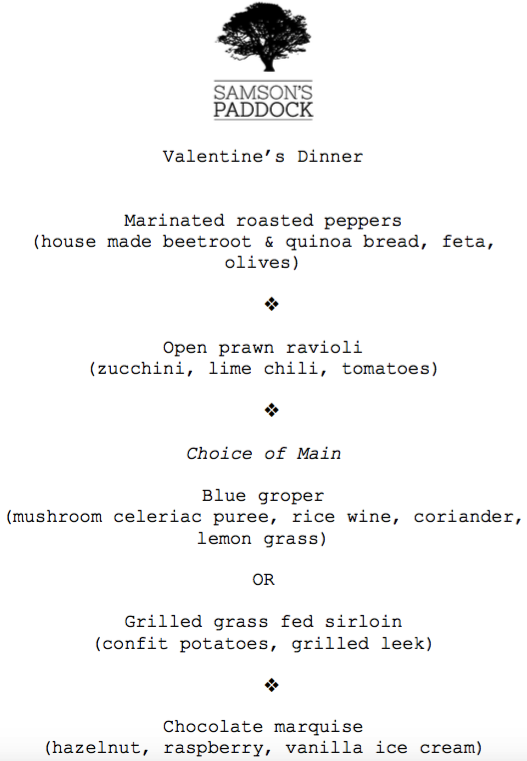 Come and enjoy a romantic candle-lit dinner for 2 sharing four courses and a glass of champagne upon arrival. 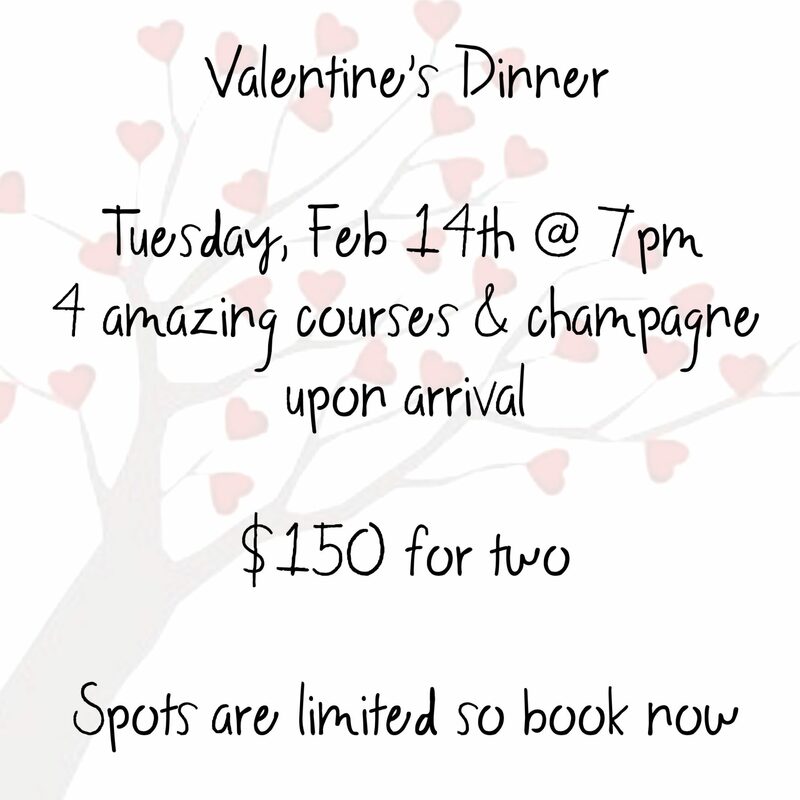 Tickets are $150 per couple, or $75 if you want to celebrate loving yourself this year! Book online by clicking the link on this page or give us a ring on 93853854.